Since the latency period for mesothelioma cancer to show symptoms is often up to 50 years after asbestos exposure, many WWII veterans and others who were exposed to asbestos in the 1940s and 50s are now being diagnosed with having a type of asbestos cancer. Mesothelioma used to be misdiagnosed as other types of cancer or respiratory diseases. Nowadays, the tests for mesothelioma are better, physicians are more aware of the existence of mesothelioma, and the disease is being “caught” more often. The mesothelium is a tissue lining inside the chest cavity of the body. Although there are several specific types of mesothelioma cancer, such as pleural mesothelioma and malignant mesothelioma, the cancer most often attacks the pleura. The pleura is the tissue sac that holds the lungs. A diagnosis of mesothelioma is usually fatal. The average life expectancy after a mesothelioma cancer diagnosis is about 18 months. Mesothelioma cancer—also known as malignant mesothelioma—is a serious and deadly form of cancer that is virtually always caused by asbestos exposure. Mesothelioma cancer can attack the protective lining of the lungs, heart, and or abdominal cavity. There are different types of mesothelioma cancer classified on the basis of which protective layering is affected. People who work around asbestos products—pervasively used in construction, shipping, and other industries—are at risk of developing mesothelioma cancer. The family members of these workers may also be at an increased risk. Because asbestos is also found in homes, schools, and other buildings, those who are exposed to airborne asbestos in these environments are also at risk. In affected individuals, mesothelioma cancer often develops years or even decades after asbestos exposure. Between 1940 and 1980, more than 27.5 million people were exposed to asbestos on the job in the United States alone. Since the 1970s, the incidence of pleural mesothelioma has increased three-fold. Thousands of people die from this serious disease every year. There are three types of mesothelioma cancer: peritoneal mesothelioma, pleural mesothelioma, and pericardial mesothelioma. Pleural mesothelioma cancer, is the most common type of malignant mesothelioma. This type affects the lining of the chest cavity and the lungs and is caused by inhalation of airborne asbestos fibers invisible to the naked eye. This type of mesothelioma affects 75% of people who come down with the deadly cancer. As with other types of the cancer, pleural mesothelioma is named after the location where it develops – in the soft tissue or pleura that coats the outside of the lungs. People who suffer from this type of mesothelioma will typically experience extreme shortness of breath and severe chest pain that may be mistaken for a heart attack. However, you may not feel any symptoms in the first stages of this cancer. That is one of the reasons why the cancer is so deadly: Many people are not aware they have it until the final, terminal stage. Life expectancy for pleural mesothelioma is under 18 months. However, some patients are able to live a lot longer. People who combine several treatments including chemotherapy, radiation therapy and others may be able to live considerably longer. Asbestos causes pleural mesothelioma because people usually inhale airborne asbestos particles. The lungs struggle to get rid of the sharp, needle like fibers imbedded in lung tissue. Over many years, the trapped fibers of asbestos get into the pleural lining. They irritate the tissue, lead to chronic inflammation and damage the DNA. In approximately 2-10% of people who were heavily exposed to asbestos over weeks, months and years will develop mesothelioma in the pleura most often. The cancer cells grow very quickly and form tumors that are essentially wrapped around the lungs. The spread out nature of pleural mesothelioma makes it exceedingly hard to treat. At least 80% of the people who are diagnosed with this form of mesothelioma are older than 75 and male. The reason for this is that asbestos exposure most often occurred decades ago in industrial occupations that men generally had at the time. This form of mesothelioma can be tough to diagnose because the symptoms can be mistaken for other illnesses and diseases. Many doctors without experience with mesothelioma may mistake the disease for the flu or pneumonia. Diagnosis will typically begin when a doctor does an evaluation of your initial symptoms. Chest pain and difficulty breathing will usually warrant an x-ray, which will often show tumors or fluid build up around the lungs. At this point, the patient may be referred to a pulmonologist or oncologist for further tests after an unusual x-ray. More imaging tests, blood tests and possibly tissue biopsies may be needed to confirm the diagnosis. Another challenge in the diagnosis of pleural mesothelioma is to distinguish it from regular lung cancer. Doctors may suspect that you have mesothelioma, but it is not enough to have been exposed to asbestos and to have abnormal imaging tests to confirm diagnosis. Most doctors have normally treated this disease with surgery, chemotherapy and radiation. Some treatment plans are specially designed to use all three; this is called multimodal therapy. Which types of treatments you are given will depend upon the stage of cancer. Some treatments may only be to reduce your pain or to control symptoms, as it is too late to stop the end result of the cancer. But in other cases, the treatments may be able to kill or control the growth of additional cancer cells. An accurate prognosis for pleural mesothelioma is difficult because it is a complex disease spread all over the lung lining. Also, each patient will respond to treatments differently. The most vital factor in your long term prognosis is the stage of the disease when it is first diagnosed. This is known as staging. A cancer that is in the early stages is going to offer higher chances of survival than one that is in the later stages. Also, patients who are in fairly good overall health otherwise and can still function in daily life will often have a better response to cancer treatments. This type of mesothelioma has various subtypes, with epithelial mesothelioma being the most common. It also is associated with the longest survival rates. Patients with this type will respond the best to treatments, and will usually live at least one year. However, patients who suffer from sarcomatoid or biphasic pleural mesothelioma will often live no more than eight months. Sarcomatoid cells are some of the most aggressive mesothelioma cancer cells. They feature fast growth and are resistant to chemotherapy. Biphasic mesothelioma is a mixture of sarcomatoid and epithelial cells. Your age, smoking history and gender also are a factor in how long you may live with pleural mesothelioma. Survival rates are usually higher for women, those who do not smoke and are under 55. If your doctor finds fluid around your lungs, life expectancy is often shorter. Peritoneal mesothelioma cancer affects the lining of the abdominal cavity. One-third to one-fifth of all mesothelioma cancer is peritoneal. This type is likely caused by ingestion of invisible asbestos fibers. Peritoneal mesothelioma only accounts for approximately 20% of all mesothelioma cases. Unlike the pleural version, this type of mesothelioma is confined to the abdomen. The early symptoms of this cancer will show up 20 to 50 years after your initial exposure to asbestos, if you are going to get the disease at all. Common symptoms usually include swelling of the abdomen, severe stomach pain, swelling and tenderness, and either diarrhea or constipation. Most of the treatment options for this type of cancer are similar to pleural mesothelioma. However, this type of cancer specifically responds well to surgery and a heated chemotherapy solution. Many patients report longer survival rates with this treatment plan. The life expectancy for a person with peritoneal mesothelioma will generally be at least three years. It will depend upon the cancer stage, the treatments given and the quality of the cancer treatment specialists. Like pleural mesothelioma, this type of cancer can be difficult to diagnose. Even experienced mesothelioma doctors can take weeks or months to diagnose it precisely. The doctor will likely begin diagnosis with a complete medical history, occupational history, and a close look at your overall physical condition. You will usually undergo a variety of imaging tests and biopsies at this time. You should be sure to mention if you think that you were exposed to asbestos for any length of time. It is very important for you to detail anything you remember about your exposure, such as when the incidents occurred and how long you may have been exposed. Note that peritoneal mesothelioma is very rare, and it is common for doctors to misdiagnose some patients. This is a major problem because it delays effective treatment, which shortens the lifespan. Common symptoms of this disease can easily be mistaken for far less serious digestive disorders. It is not uncommon for mesothelioma patients to experience severe weight loss and hernias, but the doctor thinks it is a digestive disorder. This is a rare form of mesothelioma, so patients may need to travel to another state to get the best treatment options. The most common treatment options are specialized forms of surgery, chemotherapy and even immunotherapy in some cases. Doctors currently think that a combination of several treatments can perform better on this type of cancer. One of the most promising forms of peritoneal mesothelioma treatment is called heated intraperitoneal chemotherapy or HIPEC. This is a combined treatment of surgery and heated chemotherapy. Doctors will only perform this type of surgery on a limited number of patients and on a carefully selected case by case basis. It does however feature a longer survival rate and better quality of life for the patients who get it. In small clinical studies of patients who were treated with HIPEC, about 50% lived more than five years. To qualify for this treatment, the patient must have a cancer that is limited in scope so that doctors can remove it in its entirety with surgery. It cannot have spread outside of the abdomen. The number of cases of this cancer is quite low with fewer than 500 diagnosed each year in the US. So the number of clinical trials available are fairly small. You should talk to your doctor about whether there are any mesothelioma clinical trials currently in the US that could help you. One of the recent clinical trials for peritoneal mesothelioma was with the drug tremelimumab. The study used patients with mesothelioma to test how the drug would affect the cancer. This is an immunotherapy drug that tells the immune system to fight the mesothelioma cancer cells. The study used this drug with traditional chemotherapy to increase its potency. Pericardial mesothelioma cancer affects the sac surrounding the heart. It is one of the rarest types of asbestos cancers. Treatment options are limited because the heart lining is just too close to this vital organ. However, there are some cancer cases where doctors were able to remove some of the small tumors around the heart. This rare type of cancer forms in the membrane that is wrapped around the heart. It is called the pericardium. This membrane consists of two layers – the parietal layer on the outside and an inner layer called the epicardium. To date, only 200 cases of pericardial mesothelioma have been diagnosed. This is only one percent of all forms of diagnosed mesothelioma. All mesothelioma cases are traced to exposure to asbestos. But it is still not clear how asbestos exposure leads to cancer in the lining around the heart. Studies show that asbestos is inhaled into the lungs and can be ingested into the stomach. But no research has determined how the fibers reach the heart. This type of mesothelioma affects twice as many men as women. It is usually diagnosed in those who are from 50 to 70. Like other forms of mesothelioma, it develops over decades, and is often discovered at a latter stage when no treatment is possible. Diagnosis of this type of mesothelioma is difficult because the symptoms include chest pain, extreme fatigue and difficulty breathing. All of these symptoms can occur during a heart attack, so the cancer is often misdiagnosed. Symptoms are also rarely noticed until the cancer has advanced into the final stages. The symptoms are usually due to fluid build up around the heart and a thickening of pericardial layers. If you have any of the aforementioned symptoms, you should have an x-ray or CT scan immediately. When you see your doctor, you should talk about your asbestos exposure in the past, if you know it did occur. Your doctor will look over your symptoms, medical history and condition. He will likely do a variety of imaging tests to determine if you have cancer. Your doctor will likely had an echocardiogram done, which is an ultrasound of your heart. This test uses sound waves to see the shape and size of the organ. The echo can show fluid buildup, but the reason for the fluid cannot be determined from this test. Instead, the doctor needs to do a pericardiocentesis, which is a procedure that drains some of the fluid from around the heart. An analysis of the fluid and further imaging tests will confirm if you have pericardial mesothelioma. A very effective test to look for pericardial tumors is a CT scan. It is in fact the most preferred way to diagnosis this cancer definitively. AN MRI also can help the doctor to diagnose this cancer. If you suspect you may have mesothelioma but the doctor find that you have a heart related condition instead, you may want to get a second opinion. This is especially the case if the first doctor is not a mesothelioma specialist. A general practitioner is an excellent doctor, but most of them lack sufficient training and experience with mesothelioma. It is very easy for a doctor to mistake mesothelioma for a heart problem. Pericardial mesothelioma can be mistaken for heart failure, coronary heart disease, cardiomyopathy and other heart problems. Unfortunately, treatment options are limited because the heart lining is so close to the heart. Most cancer therapies could fatally damage the organ. Most patients with this cancer are not suitable for surgery. But there are some cases where the cancer is diagnosed early on, and a surgery can be done to remove small tumors. Some patients may be able to have part of the pericardium removed, but chemotherapy and radiation therapy are not seen as effective against pericardial mesothelioma. Palliative care can be given, such as painkillers and a pericardiocentesis to reduce swelling around the organ. Prognosis for this type of cancer is poor. It is worse than the prognosis for peritoneal or pleural mesothelioma. In fact, as many as 60% of patients die from this cancer six months after diagnosis. But this is not the case for all patients. There is still hope for some patients because researchers have detected good results after special surgery to remove tumors from around the heart muscle. One study showed that surgery to remove some of the heart’s lining, combined with radiation, increased survival in two patients. Each type of mesothelioma cancer produces different symptoms. Mesothelioma treatment depends on the type of malignant mesothelioma, the stage of the disease, and other pertinent factors. Those who have been exposed to asbestos cancer and subsequently develop mesothelioma cancer have the legal right to seek help with their medical expenses and compensation for their suffering. 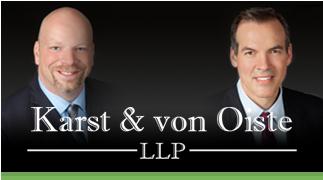 Contact asbestos attorneys that can help you learn more about mesothelioma cancer and your legal rights. How Does Someone Get Mesothelioma Cancer? The only confirmed cause of mesothelioma is asbestos exposure. Asbestos is a naturally occurring mineral that is composed of millions of fibers that are too small to see with the naked eye. When a product that contains asbestos is manipulated — that is, when it is installed or removed or repaired or just in poor condition — it is likely to shed or release some of these fibers, which are so light that they float in the air for hours or even days. People in the vicinity can breathe in the asbestos fibers without even knowing they are doing so. The asbestos fibers become lodged in the lungs and/or other internal organs, where they can cause the development of mesothelioma. This cancer is common among people who work in asbestos mines or work with asbestos products (which are very common in the construction of buildings and ships), but people who are simply exposed to an asbestos product can also develop mesothelioma cancer. Although a curable mesothelioma treatment has not yet been found, researchers are constantly working to cure the illness. Mesothelioma treatment centers have also been opened throughout the country to help support those who are living with the illness. Who Is Vulnerable to Mesothelioma Cancer? However, since asbestos-containing products are estimated to have been installed in hundreds of millions of homes, schools, office buildings, factories, and other structures in the U.S. in the 1940s through the 1970s, it is possible for virtually anyone to be exposed to a toxic level of asbestos. Is there a Mesothelioma Treatment? If you or a member of your family has been diagnosed with mesothelioma cancer, learn all that you can about this disease and about your rights and options — contact mesothelioma treatment center today.